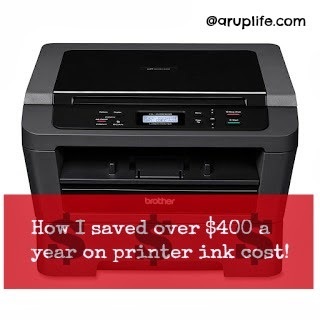 A RUP LIFE: Want to Print cheaper? I'll tell you how I saved over $400 a year! Want to Print cheaper? I'll tell you how I saved over $400 a year! We decided what worked best for us is two printers. We have the standard color printer which happens to be a Canon at the moment. They don't honestly last forever so I buy the cheapest and just replace every few years. The ink is expensive but we go through one set about once a year. Next we purchased a laser printer. We've had it for sometime and we have found we are saving a ton of money. Ours only does black/white printing but I'm okay with that for now. I may go bigger next time and get the color laser printer but that does cost more and the toner is more as well. So maybe not. 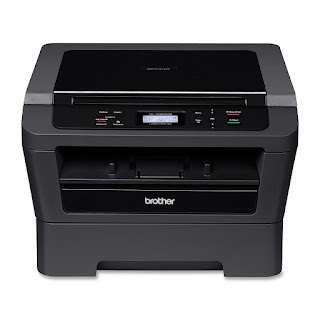 For the laser printer we needed it to be able to scan/copy and print. I spent about $150 (prices fluctuate as models change.) I spend about $40 for the toner and get about 3000 sheets printed. I think we go through two things of toner a year. Which is a huge saving on ink. Do you want copy capabilities? I wanted ALL of those options so we went with the Brother HL 2280DW . 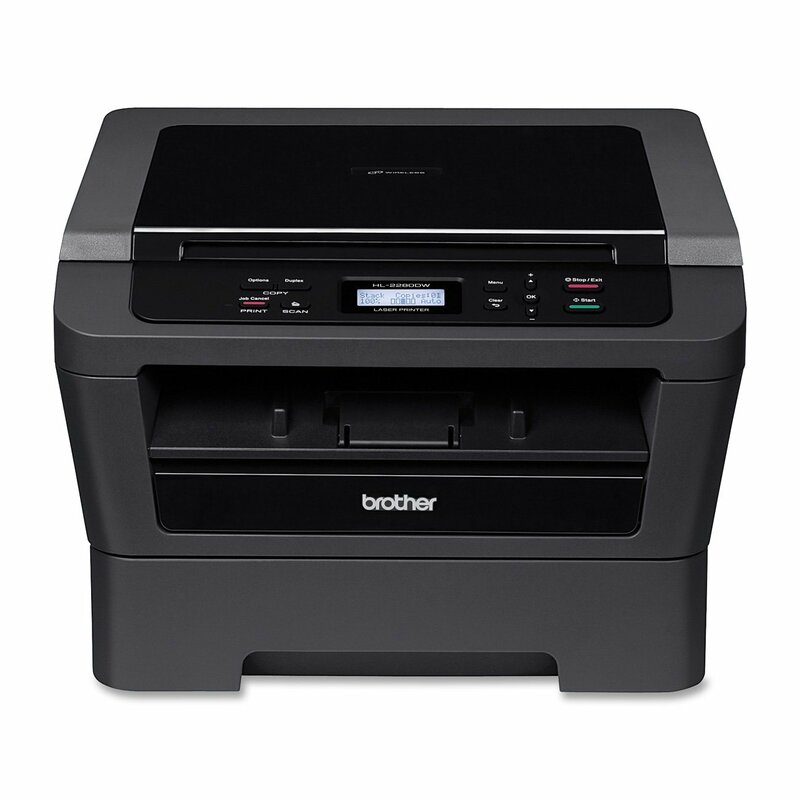 Now the toner is $42.99 with Amazon Prime and estimates 2600 sheets (for a high yield cartridge). A lower yield (1200 sheets) is about $30.00 with Amazon Prime. I hope this post helps you - I found that this question seems to be asked all the time on the homeschooling boards so I thought I would share my experience. ARupLife.com DID NOT received product, press or compensation to facilitate this review. This post may contain affiliate links, which means that by clicking on an affiliate link I may receive a small amount of money. We only give our honest opinions of products. This post is in accordance with the FTC 10 CFR, Part 255 concerning the use, endorsements or testimonials in advertising. Lisa Rupertus/ A Rup LIfe is a participant in the Amazon Services LLC Associates Program, an affiliate advertising program designed to provide a means for sites to earn advertising fees by advertising and linking to Amazon.com. Thank you! This sounds wonderful. It seems like every time I turn around, we're out of ink! Looks like I'll be getting a laser printer.